The youth living and studying in frontier regions of Lithuania, Poland and Russian Federation (Kaliningrad) gradually encounter a linguistic barrier in their inter-communication, and as a result, opportunities for cooperation are not fully applied. The contacts among young people and their improved abilities to communicate in the language of their neighbours would enable more successful cooperation in perspective, as well as solving of widespread problems and development of their regions. The project aims to permit the colleges in Marijampole and Cherniachovsk to exchange innovative methodological material for linguistic studies, to exchange linguistic students’ groups for training practice in neighbouring college, to prepare the research on studies’extension possibilities of linguistic students of Chernyakhovsk College in Marijampolė College and to coordinate a conference and a summer camp for schoolchildren and students of Lithuanian, Polish and Russian Federation (Kaliningrad) frontier regions. The realisation of the project would also promote the cooperation among schoolchildren, students and educators of frontier educational institutions, would share their experience, uphold good relationship among project countries. 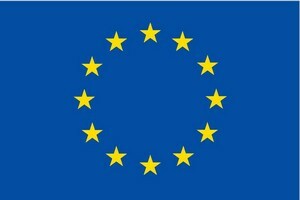 The project would help the society to get acquainted with literary heritage of euroregion countries, peculiarity of their culture and language, innovative methods used by educational institutions in linguistics as well as give opportunities to have a look at and use the processes taking place in neighbouring educational institutions, their importance at national and international levels. The objective groups of the project are educators, students, schoolchildren and society. Selected activities entirely correspond with the objective, goals and needs of objective groups as it intends to create favourable conditions for the development of educational institutions and man-to-man cooperation. In addition it helps to expand educational centres purposefully, to form general ideas while preparing and implementing new, innovatory projects. The projects introduce and propagate innovative ideas, promote a range of processes and interchange in the frontier.People living in The Nemunas euroregion Lithuanian, Polish and Russian Federation (Kaliningrad) frontier speak the language that is not understandable to one another. It is very important to reduce the negative influence of this disturbance for successful future cooperation and it is purposeful to eliminate the barrier. The absence of linguistic barriers always helps to affiliate and deepen cultural cooperation in the frontier, to develop valuable social-economical exchange as well as extend tolerance and mutual understanding based dialogue of the countries, to introduce their achievements. Successful relationship among project countries would form their positive and attractive image and contribute to realization of foreign policy objectives. General project objective – to develop the cooperation of educators, students and schoolchildren of Lithuanian, Polish and Kaliningrad district frontiers, strengthening the basis of linguistic centres and mutual exchange, familiarizing with the experience in implementation of innovations as well as linguistics and culture of the neighbouring country. To prepare the research on studies’ extension possibilities of linguistic students of Chernyakhovsk in Marijampolė College. All project work would involve participation of young people and their tutors from neighbouring countries as well as their further cooperation.